Choose from two frame finish options. Rope is Spruce (green) Silk-Spun Premium. 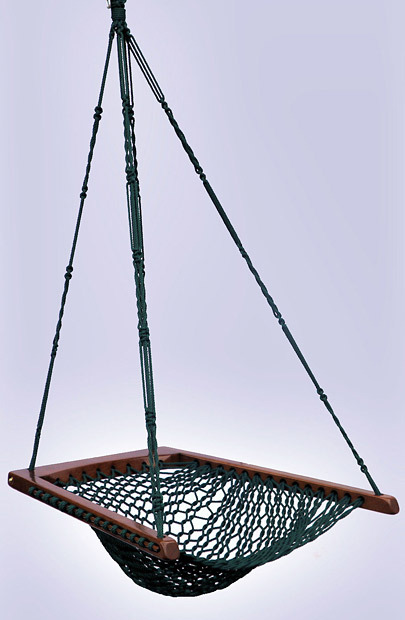 Order one of our customized Hanging Chairs for many more model choices. Hanging Chairs arrive assembled with hanging hardware and instructions included. This product is not a stock item. Please allow a minimum of three weeks for delivery.